Monteiro, L. M. & Musten, Frank (2013). Mindfulness Starts Here: An 8-week guide to skillful living. Victoria BC: Friesen Press. Dharma and Distress: Buddhist Teachings that Support the Psychological Principles in a Mindfulness Program. In: Shonin, E., Van Gordon W., & Singh, N. N. (Eds). Buddhist Foundations of Mindfulness. New York: Springer. Mother-Daughter: Mastering the art of losing each other. In: Lotus Petals in the Snow: Voices of Canadian Buddhist Women. Tanya McGinnity (Ed.). Sumeru Press. Monteiro, L.M., Compson, J.C., & Musten, F. (2017). 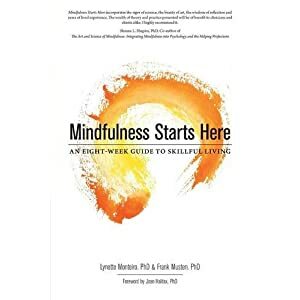 This book focuses on the role of ethics in the application of mindfulness-based interventions (MBIs) and mindfulness-based programs (MBPs) in clinical practice. The book offers an overview of the role of ethics in the cultivation of mindfulness and explores the way in which ethics have been embedded in the curriculum of MBIs and MBPs. Chapters review current training processes and examine the issues around incorporating ethics into MBIs and MBPs detailed for non-secular audiences, including training clinicians, developing program curriculum, and dealing with specific client populations. Chapters also examine new, second-generation MBIs and MBPs, the result of the call for more advanced mindfulness-based practices. The book addresses the increasing popularity of mindfulness in therapeutic interventions but stresses that it remains a new treatment methodology and in order to achieve best practice status, mindfulness interventions must offer a clear understanding of their potential and limits. • Transparency in mindfulness programs. • Teaching ethics and mindfulness to physicians and healthcare professionals. • The Mindfulness-Based Symptom Management (MBSM) program and its use in treating mental health issues. • The efficacy and ethical considerations of teaching mindfulness in businesses. • The Mindful Self-Compassion (MSC) Program. • The application of mindfulness in the military context.